On Saturday 29, @ emilcar (that surely know) and I were lucky enough to get hold of an iPhone 5 in the Apple Store on New Condomina, Murcia. The store had received stock, but was little and had only 16 models and 64 GB, in both colors. Although lately I've used in my previous iPhone 4 bare, only with a clear film on the back so as not to scratch the surface to support him in any table, now I'm with the syndrome who has something new and wants to protect the most . 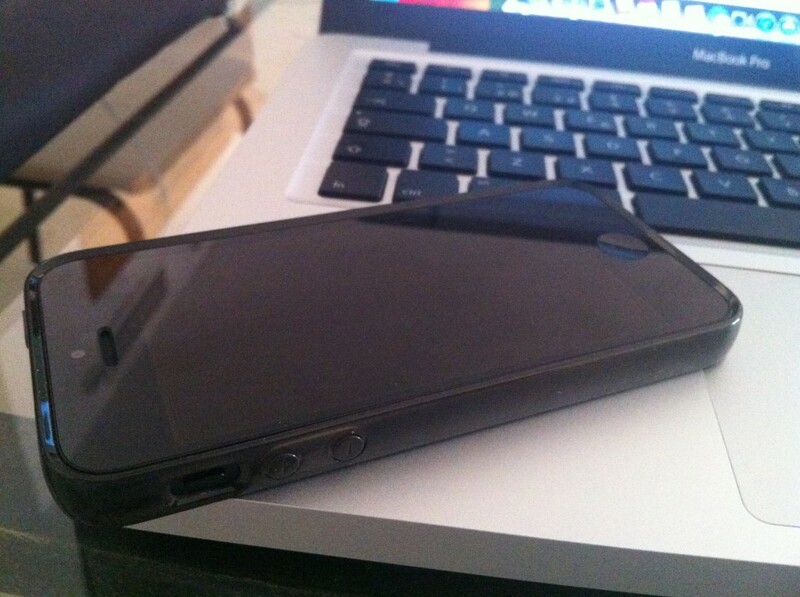 In the case of the iPhone 5 black, the biggest concern is the issue of bites, and decided to buy a bag that meets the following: it is thin and not rigid, so no damage from chafing the iPhone. These features have found a Belkin sleeve. If you have an Apple Store nearby, you will know that they will not receive in a month until such attachments for the iPhone 5, but if you have become one and you have a Tesco nearby (sure there are more sites), id because there are some models of covers, front transparent films, and housings for the new iPhone. 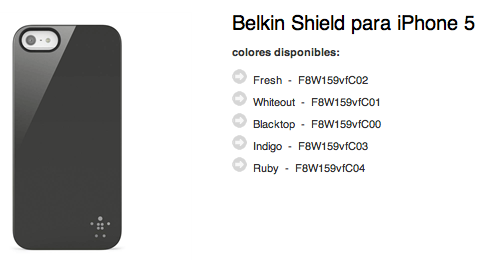 The cover Belkin Shield is available in several colors, but at the Fnac only had it in black and white. You must know that there is a plastic "hyper-moldable", but has a strong structure with no hard edge, which will not damage your iPhone, on par with the iPhone does as thick as the iPhone 4. The price is 12.99 euros. At this writing, I have seen on the Belkin website that is available the same model but with a matte clear , although it was not in the Fnac, I wish to buy more this model because I bought with no see the back of the iPhone, which is the most beautiful. Are you looking for an iPhone 5 and you have an Apple Store Nearby I recommend doing what I did: go early. In this first month of massive demand not expect to find an iPhone 5 going at 17:00; Try first thing you make sure you secure one but receive less stock. In the New Condomina told us until next Wednesday would receive nothing and Saturday such luck.